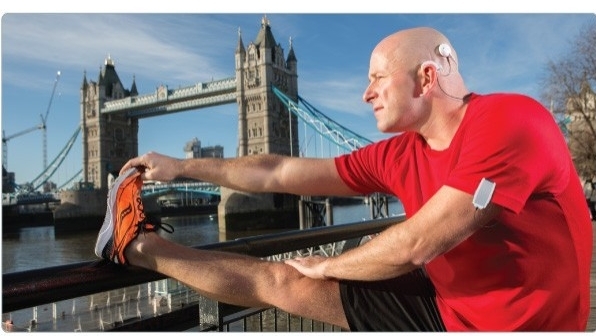 With AB, you have a variety of ways to power your sound processor to suit your lifestyle. 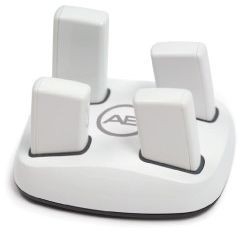 Depending on which AB processor you or your child uses, it can be powered by convenient disposable options, eco-friendly rechargeable options, or both. AB’s rechargeable power options are designed to provide outstanding hearing performance from morning to evening. Eco-friendly for environmentally conscious recipients, rechargeable batteries are also cost-effective and frequently covered by insurance. 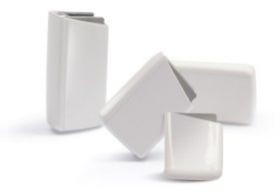 They are easy to use and can be conveniently charged each evening while you are sleeping, so they are ready to go as soon as you start your day. For those who travel or are often on the go, disposable power options offer a convenient solution in case you forget to pack extras or bring a charger along with you. AB designed the Naída CI and Neptune™ sound processors to be powered conveniently by readily available disposable batteries. 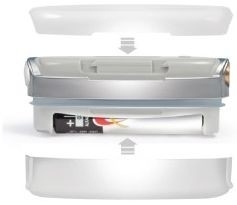 Naída CI can be powered by two disposable zinc-air batteries or a AAA PowerPak. 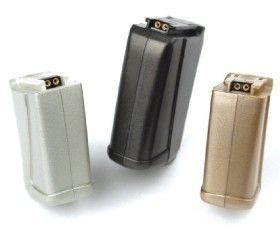 Neptune can run on a single AAA disposable battery, available at virtually any filling station or convenience store. Designed exclusively for AB’s Naída CI sound processor, the PowerCel 110 mini, the smallest battery option, provides up to 17 hours of power, while the PowerCel 230 keeps your Naída CI processor going for up to 36 hours between charges. AB’s Neptune processor can be powered by a single AAA rechargeable and disposable battery for up to 21 hours. Lightweight and compact, the PowerCel Slim rechargeable battery is compatible with Naída CI Q70 processors with the Off-Ear-Power Option. The PowerCel Slim provides up to 19 hours of continuous use for Harmony™ sound processors, and an average of 9 hours for Auria™ processors. PowerCel™ Plus BatteryThe long-running rechargeable PowerCel Plus battery provides up to a full day of operation on a full charge for Harmony and Auria sound processors. The PowerCel Plus battery can be recharged hundreds of times before it needs replacing. AB’s high-performance accessories help keep your PowerCel batteries fully charged, and you connected to the world of sound, even while in your car or travelling abroad. The Naída CI charger introduces USB compatibility for additional portability and flexibility. 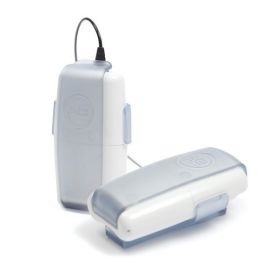 For children and recipients with small or delicate ears, these convenient options transfer the size and weight of the battery from the ear to the body for additional comfort. Bilateral recipients can take advantage of the bilateral power adapter to operate two processors with one power source. PowerCel Adapter, BTE Power Adapter, and cable for Naída CI, Harmony, and Auria. AAA PowerPak for Naída CI, Harmony, and Auria (uses three AAA rechargeable or disposable batteries) with up to 183 hours of battery life. 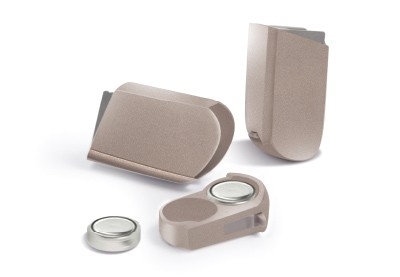 PowerCel 110, 170, 230, the new, smaller PowerCel 110 Mini and 170 Mini batteries, their associated charger, and accessories are compatible with AB’s Naída CI sound processor. AAA rechargeable batteries and their associated chargers are compatible with the Neptune™ sound processor and the AAA PowerPak. PowerCel Slim and PowerCel Plus rechargeable batteries, their associated charger, and accessories, are compatible with Naída CI processors with the Off-Ear-Power Options, as well as Harmony™ and Auria™ sound processors. The PowerCel Adapter and related accessories are available for Naída CI, Harmony, and Auria sound processors. The AAA PowerPak is available for Naída CI and Harmony sound processors.